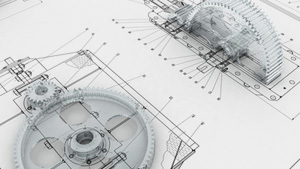 Like a patent, a utility model protects technical invention. Methods (manufacturing and working methods) are excluded from utility model protection. The German Patent and Trademark Office examines a utility model application only with regard to formal conditions and whether a technical invention should be protected. The factual protection conditions, i.e. novelty, inventive step, and industrial applicability are not examined. Compared to a patent, the application procedure is thus considerably shortened and with the registry of the utility model, the applicant obtains a protective right for his invention in a short period of time. However, rights resulting from the utility model can only be claimed if the factual conditions - novelty, inventive step, and industrial applicability - are also provided. The applicant must find this out on his own (through a study for instance). In contrast to the patent, a utility model allows for protecting an invention, which the applicant had already disclosed to the public prior to the application date, as long as the application for a utility model occurs within six months after such a disclosure. The duration of protection of the registered utility model starts on the application date and expires 10 years later, at the end of the month in which the application has been filed.